Hey you all!! 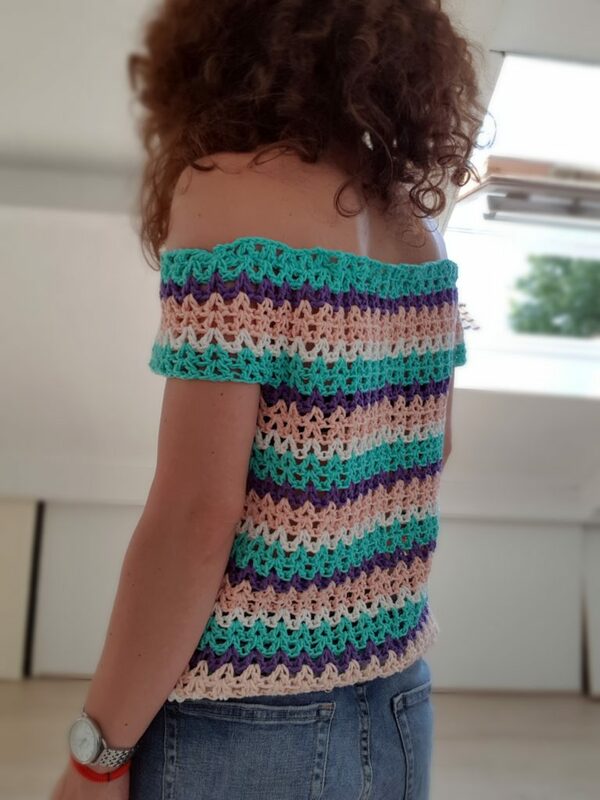 I am happily in vacation, but even so I wanted to share with you this easy and fun Happy Colors Scrappy Blouse. Is so easy to make, worked in one single piece, from top to bottom. No sewing and a very simple stitch. I used 4 colors on this, but you can use as many colors as you want or as you have. I had less then one skein of each color and was enough for S size. The yarn I used is Scheepjes Cahlista. 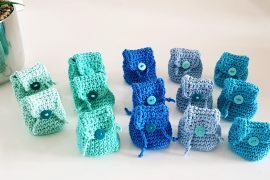 Is a 100% cotton yarn and the recommended needle is 4.5 – 5 mm. I used 4.5 (size 7 US), but I worked looser then usual. In the 1 ch space from the previous row: 1 dc, ch 1, 1 dc. On the foundation ch: 1 dc, ch 1, 1 dc in the same st. Skip 2 sts and repeat to the end of the row. Ok. Let’s begin this beautiful Happy Colors Scrappy Blouse. Like I said this blouse is worked from top to bottom in circular rounds. Start with the foundation chain. We will work this Happy Colors Scrappy Blouse in V stitch ( see the pattern above) so we will need a multiple of 3 plus 1 sts. After finishing the foundation chain, slip stitch and join. Ch 3, [skip the next 2 sts, V st in the next (as described above ] – repeat this section to the end of the round. Finish the round with a slip stitch with the 3rd stitch of the starting chain. 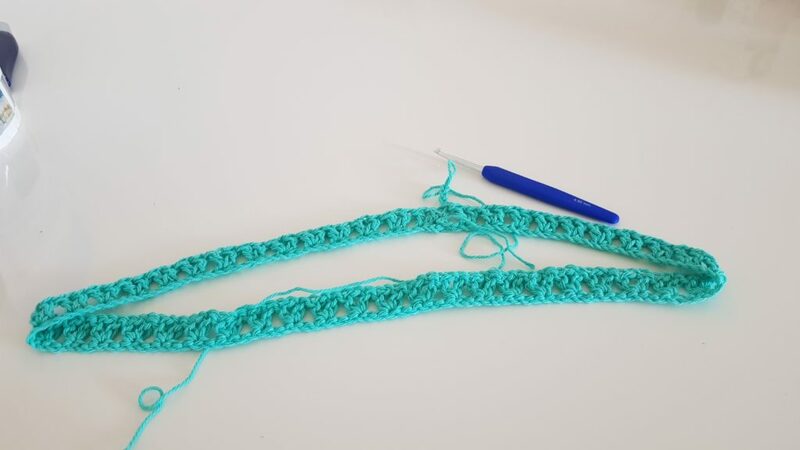 Ch 3, [V st in the next ch 1 space from the previous round] – repeat to the end of the round, slip stitch with the 3rd st of the starting chain. After finishing this first part, is time to let the sleeves apart and continue with the body of the blouse. We will use stitch markers and count the Vs.
9 V sts to the left and 9 to the right. Mark the 9th st. You will have for the back 18 V sts in total. Count 8 V sts for the sleeve. Mark the 9th V st (between the markers you will have 8 V sts for the sleeve. Proceed the same with the other sleeve. Now you have 4 markers and left for the front 19 V sts. Now that you have all 4 stitch markers in their place is time to continue our Happy Colors Scrappy Blouse. As you may figure it out, you can change the colors as you want or you can use one single color. Skip the sleeve V sts and join with the 2nd stitch marker. 1 V st in the ch 1 space where the stitch marker is and continue with the V stitch until the 3rd stitch marker. Make the last V st in the ch 1 space where the stitch marker is then ch the same number of sts as for the other side. Skip the sts for the sleeve and beginning with the 4th stitch marker make the V st to the end of the round. Slip stitch with the 3rd st of the starting ch. Ch 3, V st until the armpit chain. Skip 2 sts, V st in the next. Repeat until the end of the chain. At the end you should have 2 sts left. Skip those 2 and continue with the V st to the other armpit chain. Repeat the same as on the first chain and then continue with the V st to the end of the round. Slip stitch with the 3rd st of the starting chain. From now on just make 1 V st in each ch 1 space for as many rows as you want until you get to the desired length. You can make a short blouse like me or a tunic or why not a dress. 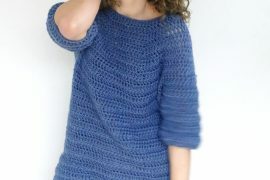 To finish it add a cord or sew an elastic band on the top, just to make sure that the blouse will stay on your shoulders?. And this was it. 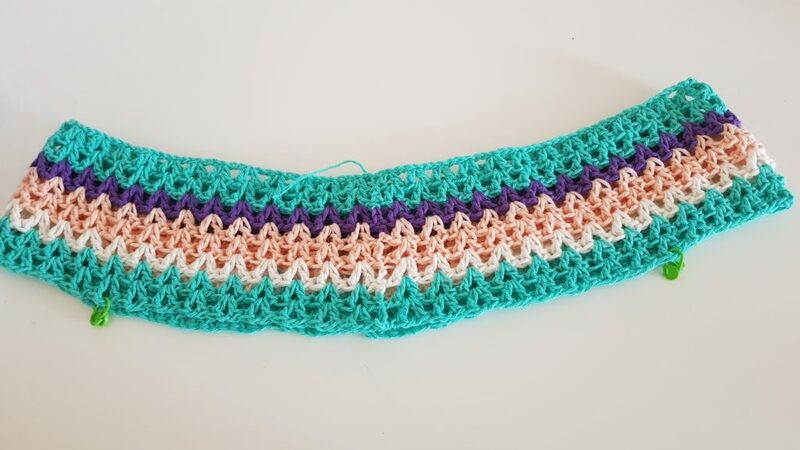 A very fast and fun project and a perfect way to make something beautiful of that yarn left over. Hope you liked this pattern too. 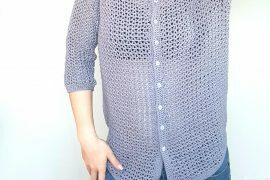 Bellow you will find the video tutorial on how I made this blouse. What a beautiful and simple design. Thanks! I am so glad you like it. ?